I'll keep this review short and sweet. I really enjoy these headphones. 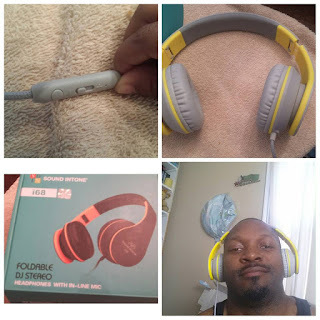 They are perfect for what I use headphones for and aside from the fact that it is wired as opposed to wireless they are my other go to pair of headphones that I possess. Now, I never have bought or used the top of the line Bose or Beats by Dre headphones so I'm sure those may do a slightly better job. However for some headphones that cost less than $20.00 these are the bomb in my opinion. There are a variety of colors available which make them stylish in my opinion. The wire contains a microphone and volume control on it. The wire is micro braided and does not seem like it will short out due to wear and tear. You can also control the volume of sound coming into your ear from the wire which is a nice bonus. If you like to talk using your headphones there is a built in microphone as well as the option to answer phone calls with your headphones. Great pair of wired headphones for a reasonable price. Well constructed, durable and seems like they will last a long time. You can check out my youtube review below.